Stewart O'Nan is renowned for illuminating the unexpected grace of everyday life and the resilience of ordinary people with humor, intelligence, and compassion. In Henry, Himself he offers an unsentimental, moving story of a twentieth-century everyman. Soldier, son, lover, husband, breadwinner, churchgoer, Henry Maxwell has spent his whole life trying to live with honor. A native Pittsburgher and engineer, he's always believed in logic, sacrifice, and hard work. Now, seventy-five and retired, he feels the world has passed him by. It's 1998, the American century is ending, and nothing is simple anymore. His children are distant, their unhappiness a mystery. Only his wife Emily and dog Rufus stand by him. Once so confident, as Henry's strength and memory desert him, he weighs his dreams against his regrets and is left with questions he can't answer: Is he a good man? Has he done right by the people he loves? And with time running out, what, realistically, can he hope for? 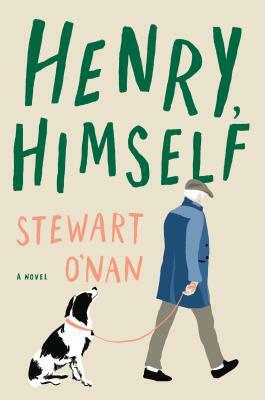 Like Emily, Alone, O'Nan's beloved portrait of Henry's wife, Henry, Himself is a wry, warmhearted portrait of an American original--a man who believes he's reached a dead end only to discover life is full of surprises. Stewart O'Nan is the author of numerous books, including West of Sunset, The Odds, Emily Alone, Snow Angels, Songs for the Missing, and A Prayer for the Dying. His 2007 novel, Last Night at the Lobster, was a national bestseller and a finalist for the Los Angeles Times Book Prize. He was born and raised in Pittsburgh, where he lives with his family.